Atmoslab Thyme (Thyme) has a fine and dry scent as well as a slight taste of mint. 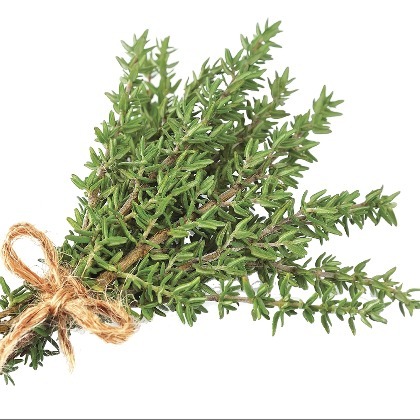 Thyme gives off a delicate combination of pine and pepper taste with some bitter and slightly lemonade notes of mint. A very realistic flavor. Thyme flavor is available in 10ml pharmaceutical glass bottle with inner dropper and tamper-evident cap. Danger. Causes severe skin burns and eye damage. May cause an allergic skin reaction. Causes serious eye damage. Keep out of reach of children. Wear protective gloves/protective clothing/eye protection/face protection. IF ON SKIN: Wash with plenty of water/soap. IF IN EYES: Rinse cautiously with water for several minutes. Remove contact lenses, if present and easy to do. Continue rinsing.